ASURE Cooks Gardens Motor Lodge features a garden setting, 600 m from the CBD and Wanganui Opera House. It offers free on-site parking and unlimited free WiFi access. The heated guest rooms are equipped with a TV that has more than 50 satellite channels and a DVD player. All rooms have a microwave, a fridge and an electric kettle. The motel has a guest laundry facility. Luggage storage is provided. 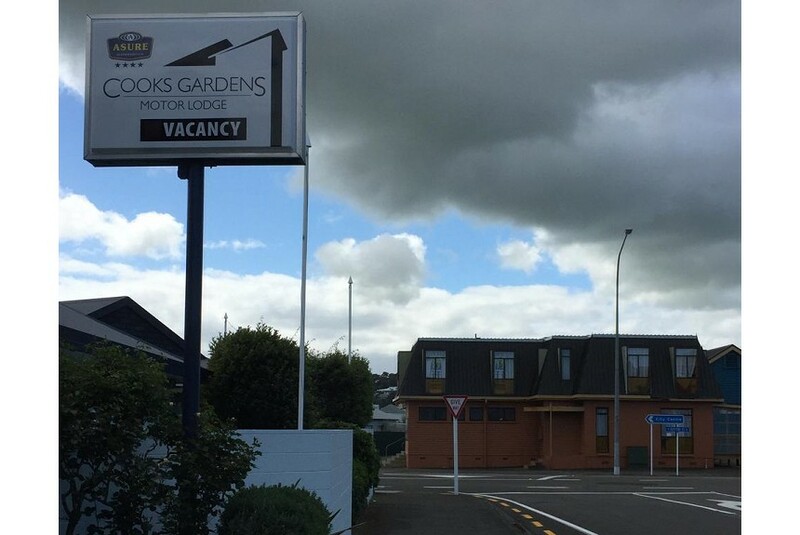 Cooks Gardens Motor Lodge ASURE is a 5-minute walk from Wanganui Racecourse and the Greyhound Track. It is a 4-minute drive from the War Memorial Hall and Sarjeant Art Gallery. Wanganui Airport is a 6-minute drive away. This motel is also rated for the best value in Whanganui! Guests are getting more for their money when compared to other properties in this city.